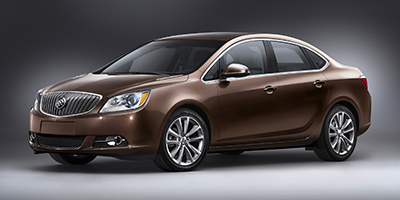 Find the latest 2014 Buick Verano recalls as issued by the National Highway Traffic Safety Administration (NHTSA) and Manufacturers. Consequence Exposed wires increase the risk of electrical shock and personal injury if the cord is handled while it is plugged in. Remedy GM will notify owners, and dealers will replace the engine oil pan/block heater cord with a new cord that is rated for temperatures of minus 40 degree Celsius. The manufacturer has not yet provided a notification schedule. Owners may contact Buick customer service at 1-800-521-7300 or Chevrolet customer service at 1-800-222-1020. GM's number for this recall is 14257. Summary General Motors LLC (GM) is recalling certain model year 2013-2014 Buick Encore all-wheel-drive vehicles manufactured August 23, 2012, to September 9, 2013; Verano vehicles manufactured August 8, 2012, to June 20, 2013; Chevrolet Cruze vehicles manufactured August 7, 2012, to August 16, 2013, and 2012-2014 Chevrolet Sonic vehicles manufactured May 10, 2011, to August 16, 2012 equipped with a Calix oil pan/block heater. In cold temperatures, the insulation on the engine block heater cord can become damaged, allowing the wires to be exposed.